Join us today for a tasting with Barlow Vineyards 2-5 p.m. Need a place to watch the Super Bowl? Press the easy button and reserve your table ASAP, space is limited for your comfort. NBA action is heating up with the Golden State Warriors, catch the rest of the play off action here at V Wine Cellar. All NFL games will be on until we conclude with our 11th annual Super Bowl Party. Book now, space is limited. Photos from V Wine Cellar's post Blue skies, Light winds and Fresh Air. A welcomed Saturday Fall Day In Yountville. 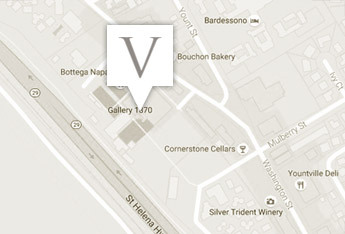 Photos from V Wine Cellar's post For a few hours we will be the only sports bar in the town of Yountville. Preakness starts at 2 p.m.
Timeline Photos May 6th is approaching fast. Get your tickets for our 9th annual Sense Yountville while they last. Over 5 new participating wineries and some of your old favorites like Dominus, Realm, Paradigm. Timeline Photos Ran into Jim Barnett from the warriors yesterday. I saw it as an omen that the DUBS will take it all again this year. No punches to lower extremities by anyone and we will be at full power. Boutique wineries,food #Kentucky Derby party benfiting a great cause #The Pathway Home "
Timeline Photos 2017 Masters On All Weekend At V Wine Cellar. Mention this post, receive 10% off bottle service while you view. Timeline Photos Come congratulate this Man from the Thomas Keller Group! He made Yountville proud with his success in Lyon! Timeline Photos Getting ready for some friendly wagering here at V Wine Cellar.